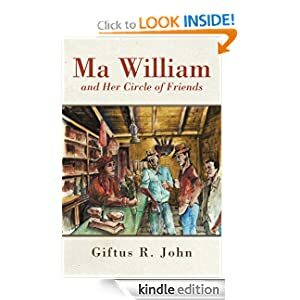 Approximately one year ago I travelled to Dominica to launch my then newly released book “Ma William and Her Circle of Friends.” My original plan was to participate in the Literary Festival and do the launch around that time, but the timing of the book publication and the Lit Fest was not right. I thus decided to do the launch during the Independence Celebrations and do it in my home village, St. Joseph. It was an exciting time for me. I had seen the result of almost three years of work come alive in ink and paper. My last book launching in Dominica was in 1981 at the St. Mary’s Academy where I was a teacher for five years. Since then I have published “The Island Man Sings His Song,” and “Mesye Kwik! Kwak!” both in the United States, without any fanfare or drum roll. I was excited to go back to where it all started and make my village the centre of the action. I was not going to follow the same route with Ma William as I had with the two other publications because, based on the storyline, the previews and the buzz I was feeling about that book, I believed it was going to be my best work yet and I wanted to do it justice. First, I saw this as a challenge for me as an author and a returning Dominican and also as the one who had “inside scoop” on the activities of Ma William and her trusted gang…Bamboo, Mr. Jones, Ma Simbert, Pappy and Paul. These characters portrayed the life in that community. They portrayed the lives of real people in a struggling community and displayed the everyday happenings in a community hemmed in on the North, South and East by hills and on the West by the Caribbean Sea. As I walked around the village one late afternoon and relived the story, I saw the “fictional” areas that I had described in the book come alive.…Ma William’s shop, Front Street with its large potholes, and Main Street, where a number of stragglers were sitting idly by waiting for a drink or a handout. I saw Ma William and her gang doing what they did best every day and night. I got the feeling that even though I had not been part of the everyday life of the village for more than 25 years I was at home within a surrounding that I was extremely familiar with…people that I knew and streets that I had walked. The characters were the same. The characters in the book were no longer fictional…I saw them in the people walking the streets of the village. The story of Ma William became real at least for a while. One aspect that amazed me was having people ask me which Ma William I was referring to in the book. Although there was no Ma William who owned a shop in the village, there were, to my honest surprise, many more Ma Williams in St. Joseph than I had known. Everyone, then, had a Ma William that they knew, although some were sure that the story was about a particular shopkeeper but that I had disguised the story by using Ma William as the fictional name…well that I won’t answer to. As I indicated earlier, the trip was held around the Independence celebrations and that gave me the opportunity to witness some of the cultural activities that were held in Roseau, the island’s capital. Dominica may not be a rich nation but our culture does not take a back seat to any nation in the world. It is unique and precious. It is sometimes said that it is after many of us leave the island’s shores and visit other places that we realize what we have. I believe though, that it is because we do not have anything to compare it with, when we’re home. When we go to other places we see what they have and we become much more appreciative of what we have…our dances, our songs, our music, our poetry, our conte, our short stories, our rivers, the sea, our forests, our birds…and on and on. This is why we need to applaud the groups throughout the United States, Canada, England and other parts of the world who organize the cultural events during that time of the year. We should also applaud people like Sabina George-Mingo, Roslyn Mc Lean and Justina Henderson for keeping our dances alive and teaching the young ones (many who were born in the US or came here very young) the culture and heritage of Dominica, that their parents knew. Ma William did not dance though her mother—Ma Olive did, but what she (Ma William) did was relate a story of life in a community where the people, mindless of what happened throughout the year, saw themselves as patriots, as jean Senjo and as Dominicans: Paul—staying home even though his wife was in the Virgin islands, Shirley—hoping to return after her studies in Cuba and take care of the children in her community and her island and Mr. Jones—not wanting to leave the only place that he had known all his life. As we celebrate another year of political and cultural independence from our colonial masters, may we pause and remember the many cultural icons who have gone before us and those who are still with us. Let us thank them for keeping alive a Culture and a Heritage that is second to none, and one that no matter where we are, no matter what part of the world we decide to call home, we as Dominicans, will be proud to be part of and cherish always. Happy Independence Dominica and my fellow Dominicans!! It’s important to keep these traditions alive, including the literary and oral traditions of storytelling, as you did with Ma William and her Circle of Friends. Even without pen and paper, the griots are still present as you witnessed when you returned to St. Joseph; there were folks who related to the story and felt like they could tell the story. The characters and story lines were familiar indeed. Though you yourself hadn’t inhabited the island for quite a while, those characters and personalities never left you. I’m sure that once you began the journey of writing the actual story, they came alive in you, in full color, accent and all! A cornerstone of the true independence of a nation is education coupled with explicit literacy. The publication of Ma William, et al, and the return and reconnection of this story with the people, is demonstration of this critical development of a people. Congratulations Giftus! Happy Independence Day, Dominica! Hi SomerEmpress: Thanks for your feedback! Yes..so true!